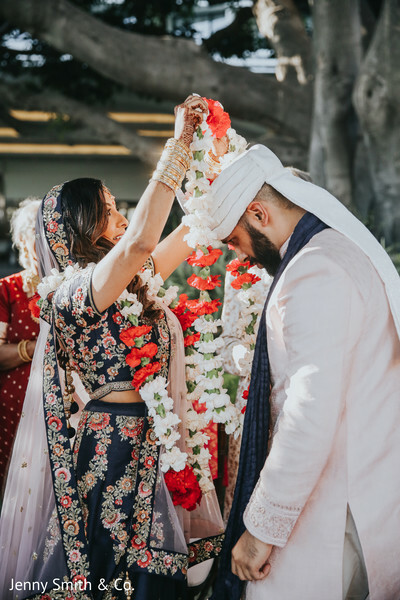 We are back at Leena and Amaeya's wedding celebrations! 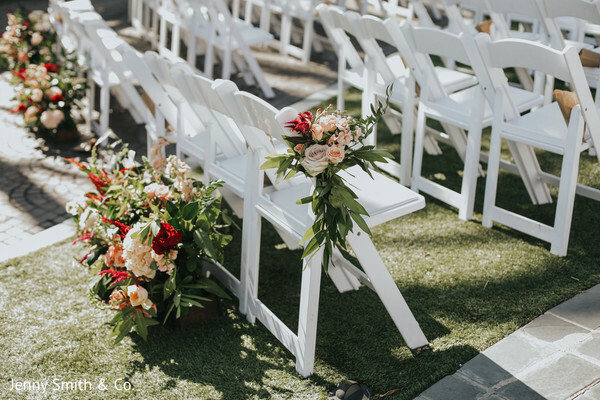 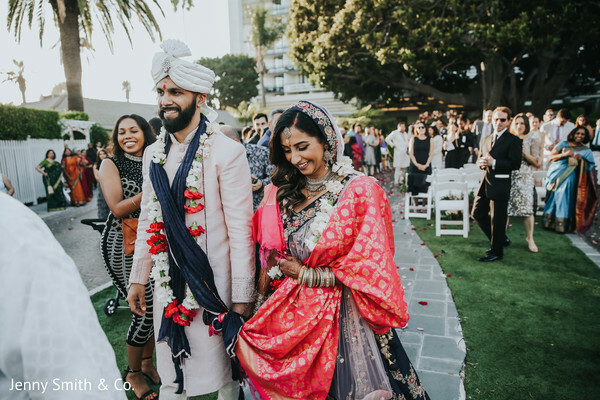 With a beautiful and elaborate outdoor ceremony expertly planned by Orange Blossom Special Events in the sophisticated ambiance of the Fairmont Miramar Hotel and Bungalows. 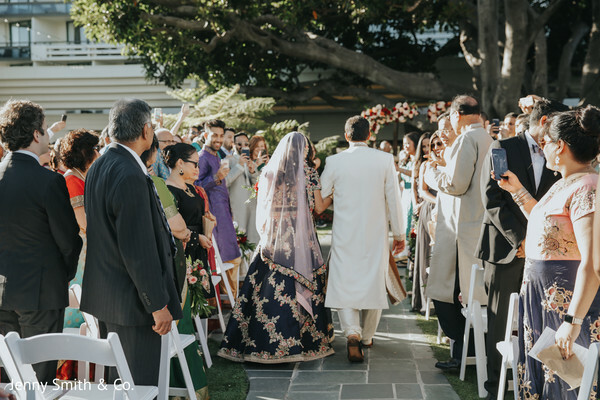 It was an absolute upscale and inspiring event! 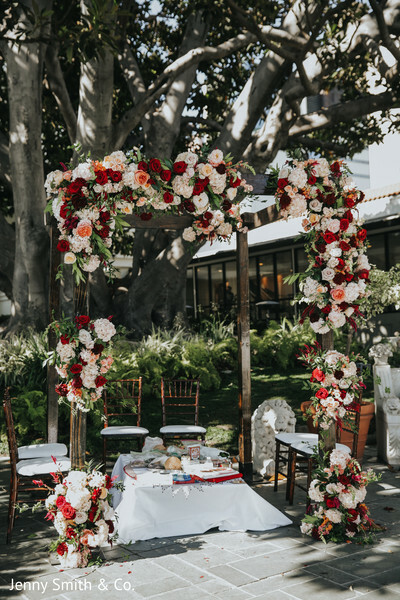 The luxurious gardens of the exclusive Santa Monica beach hotel were filled to the brim with exquisite details and magnificent florals produced by Peony and Plum. 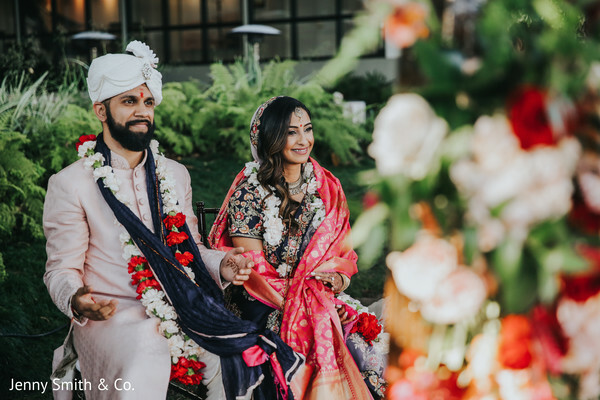 I especially love the rustic mandap and the flowers' color scheme of burgundy, ivory and pink shades that evoke a warm and romantic feel! 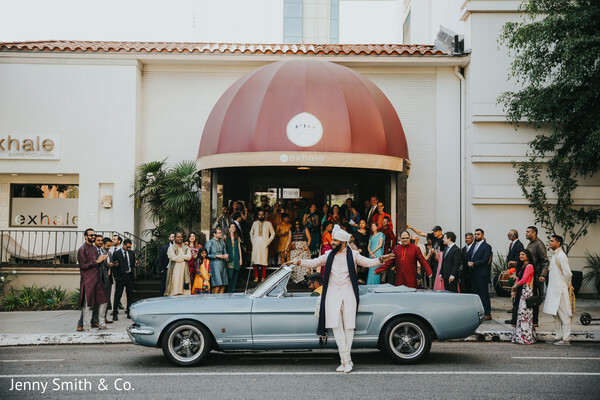 Amaeya made a jaw-dropping entry on his stylish convertible Mustang while our blushing bride, Leena walked down the aisle looking as a breathtaking diva! 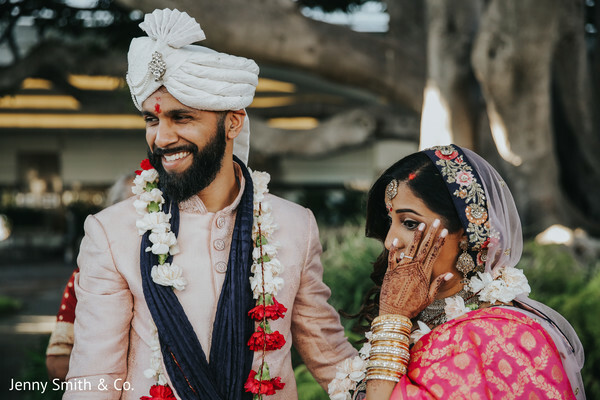 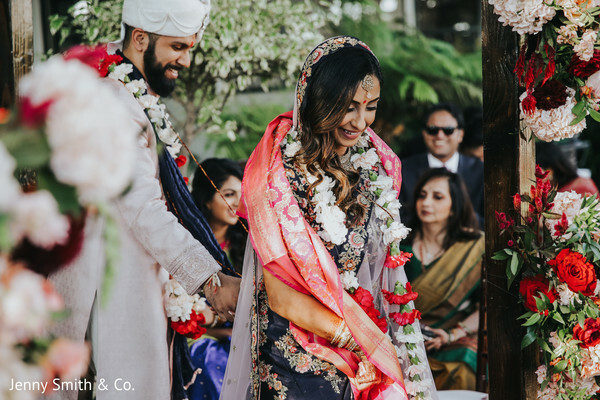 Jenny Smith & Co. snapped the couple’s love and the charming rites and traditions that reigned during the ceremony, you can relive all the special moments of Leena and Amaeya by visiting our complete gallery now! 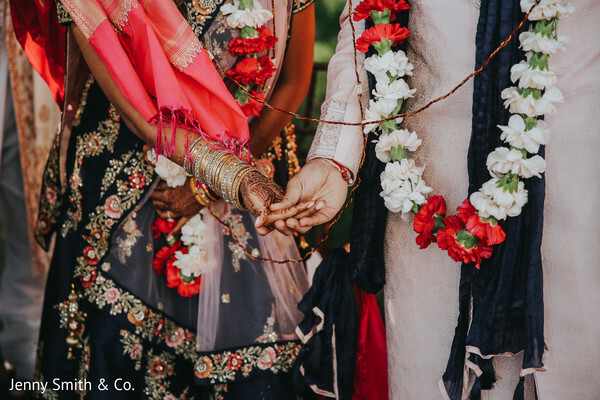 We can’t wait to unveil the grand finale! 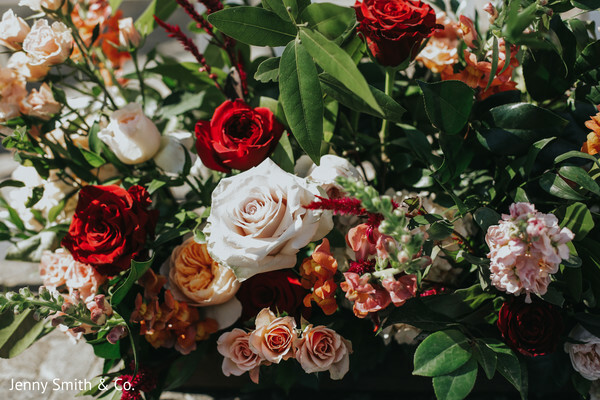 We will see you in our next post.